We’ve had another amazing installment in this adventure with God that started when Bill Pagaran, the drummer with Broken Walls, prophesied that God would “bring our ministry to birth in nine months”–which meant last fall, around the end of August. First, let me summarize some new insights God showed me last fall, as He helped me put together a lifetime of Spirit-guided research about the history of the advance of the Kingdom of God. You will find this research listed in our Video Teaching under the title, “Glory Through Time.” Check it out on this website. What I saw is that the Holy Spirit has been predominantly a west-blowing wind for the last 2000 years. 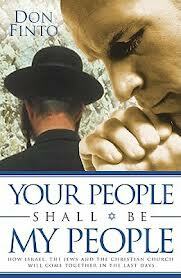 It is as though a wave of God’s power has slowly been moving westward from Jerusalem through the nations. The power of the Holy Spirit has been flowing westward. Westward. Always westward. 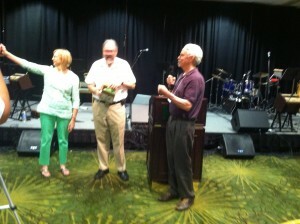 By now, God is moving this process onward through Asia, especially mainland China. Now we can see this process continuing in the Back To Jerusalem movement in China today. When the circuit is complete, the “times of the Gentiles” will conclude, and Jesus will return to move history into its next phase, the millennial reign of Jesus on earth as described in Revelation 20 and Isaiah 60-66 (and many other chapters of our Bibles). Why should we credit this prophetic word as having validity and importance? Because in the years since, this word has come true. Today, the Chinese Church is 140 million strong, mostly first-generation believers, and the house church movement has committed 100,000 people to be this evangelizing force in the countries between China and Israel. 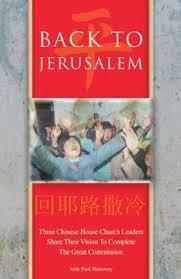 The Back to Jerusalem movement is the next and last chapter of this long period Jesus described as “the times of the Gentiles.” I encourage everyone to read this extraordinary book, written by the main leaders of the Chinese Church working together. 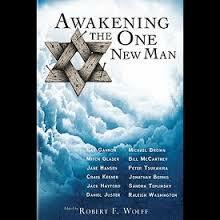 Simultaneously, God has been planting the gospel in Jerusalem through Messianic Jews as described wonderfully in Don Finto’s book, Your People Shall Be My People, and in the more recent book, Awakening the One New Man. These two books got on my required reading list last fall. (God required me to read them.) Just at that moment, I received an email from Dr. Dan Juster, who was featured in both of these books. Never mind why Dr. Juster was contacting me. The timing of this contact was clear: God is up to something! The result was that Carla and I attended the annual family conference of Tikkun Ministries a month ago, where we met Dr. Juster and his son, Benjamin. Dr. Juster is the founder of Tikkun, which is based in both Jerusalem and the U.S. Our experience at the Tikkun conference was a doorway into something that God has for us–but we know not what. We know there is something God is preparing for us, perhaps related to the Dunamis Project teaching Brad Long and I wrote years ago, which the Justers expressed interest in. As if all this were not enough to comprehend, we got an email that same week from our friend, Ben Torrey in Korea. He had just experienced the Call2All Conference in Thailand, in which the Back To Jerusalem movement was the main agenda item. The long and the short of this email was: the Chinese are interested in the Dunamis Project teaching for China. So here, on the same weekend, Brad Long and I, who co-authored much of the Dunamis Project material, are suddenly, out of the blue, hearing from both sides of the missions picture today, the “Jerusalem” side and the “Back to Jerusalem” side. I think we both feel as though a river has just risen up, picked us up off our feet, and it’s carrying us–where?? So that’s the latest from The Clearing. God is showing us what He’s doing around the world, and He seems to be inviting us to get involved. More about this in future posts, as we try to discern the next pieces of this adventure. 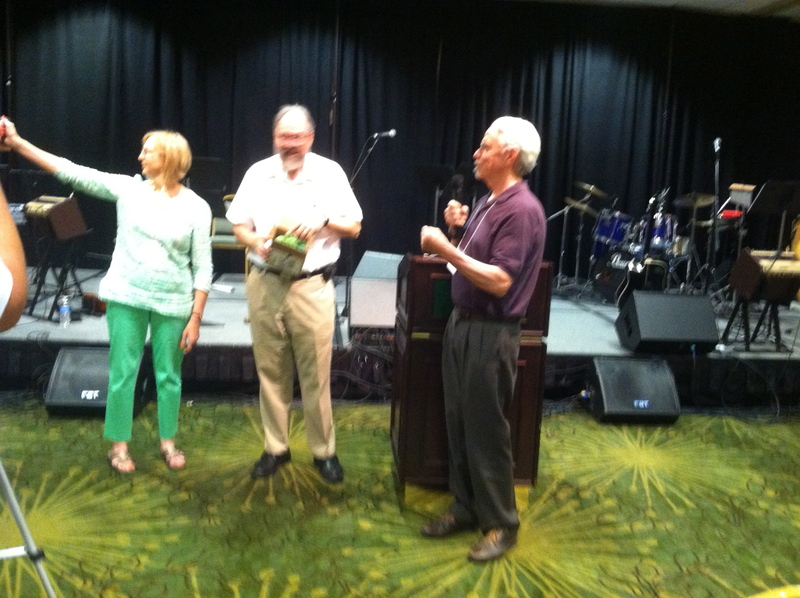 Here’s a picture Carla took of me presenting one of my mugs to Dr. Juster as a protocol gift at the end of the Tikkun event.. This entry was posted on Monday, June 24th, 2013 at 3:42 pm and is filed under Uncategorized. You can follow any responses to this entry through the RSS 2.0 feed. You can leave a response, or trackback from your own site.